As part of our Worlds Apart, we are pleased to announce the third in the series. 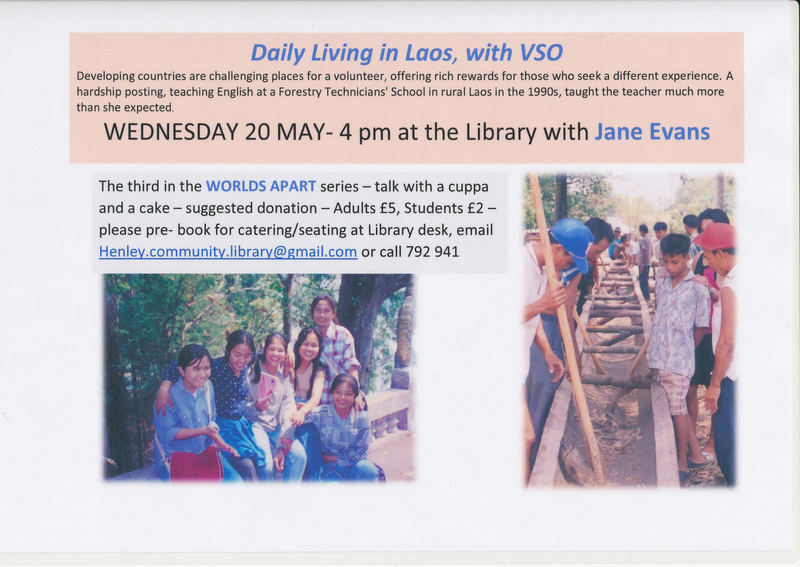 This is a talk by Jane Evans talking about her experience teaching English in Laos. This will be held on Wednesday, 20 May, at 4pm in the Library.